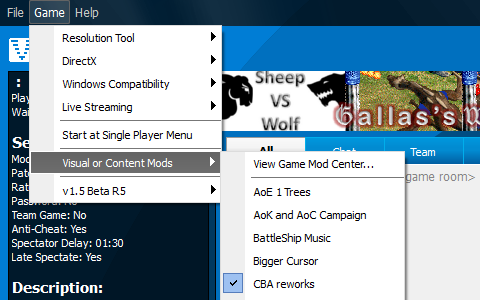 Visual mods are automatically enabled once installed. You can disable them with the "Game->Visual or Content Mods" menu (uncheck them), or uninstall through the mod's webpage to permanently remove. Some Visual mod may interfere with an other when changing the same game element.